It's the end of March, and to celebrate, we're looking forward to experiencing a brand new venue for InterNations events - the fantastic Izakaya Restaurant & Lounge - TENKEI! 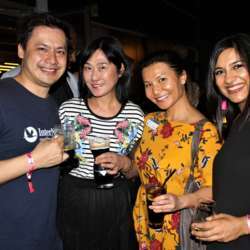 With one drink and some light snacks for all guests with the entry, mix and mingle with expats and global minds at this funky and innovative indoor-outdoor venue in Central! The Japanese-themed space covers 7,500 square feet on the buzzing On Hing Terrace, with three distinct areas for patrons to relax and enjoy. Taking over both the bar area and the outdoor alfresco Sakura Lounge, feel welcome to enjoy in great conversation, and even sample some of the fantastic Aces shishas that they have on offer. We also advise all attendees that if you wish to have dinner with friends/colleagues, sample the fantastic foods as we have 15% discount for all InterNations guests! The food is reasonably priced as well as flavorful! This is definitely one night you won't want to miss, so feel free to bring your friends, and share the InterNations spirit. Zerve Group has been catering to the nightlife scene with its popular sports bar concept in Hong Kong and abroad. Inspired by Japanese Izakaya’s laidback atmosphere and impeccable food, Tenkei is amping up to be the ultimate destination for dinner, drinks, and everything up to even having a late night snack past midnight. The funky and innovative space covers 7,500 square foot on the buzzing On Hing Terrace, with three distinct areas for patrons to relax and enjoy. The main dining room takes its inspirations from contemporary industrial aesthetics and authentic Japanese touches that take you right to Tokyo. For those who enjoy privacy, there is a private party room available for hire to give guests more intimacy. 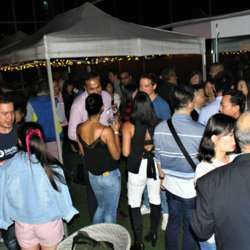 The alfresco area is divided into the romantic Bamboo Garden and the more relaxed Sakura Garden – both perfect for enjoying custom flavours of shisha by Aces Co. and house-made cocktails under the stars. 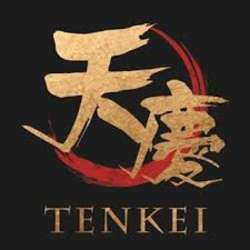 With food helmed by Chef Mike Li, whose experience spans over almost two decades and has touched cuisines from all over the globe, Tenkei’s menu is artfully tailored to the tasteful Central crowd to present the best of Japanese ingredients and flavours. 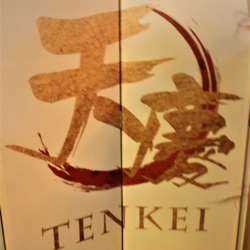 Tenkei also presents an exquisite drinks menu to accompany the bites and get the evening going for partygoers on weekends. Exclusively imported by Tenkei, craft beer from famed Japanese brewery Hitachino can be enjoyed by all beer lovers. Perfect for the summer, there is the Tenkei house brew – a light, refreshing and fruity larger with hints of tangerine. Cocktail enthusiasts will delight in discovering Tenkei’s list of creative Japanese-inspired cocktails, as well as a range of high quality sake, whiskey and house pours to please every guest that comes through their doors.